We appreciate that not every home can accommodate a veranda on its outside wall. If you don’t have enough wall space for a standard veranda design – or if you’d simply prefer to keep your garden retreat separate from the house itself – then our Serenity verandas are perfect for you! 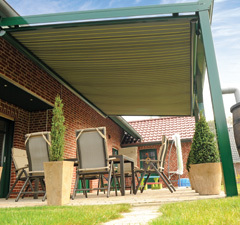 This innovative veranda design allows you to create a sheltered garden space that’s completely detached from your house. The detached verandas are every bit as beautiful as our attached verandas, and with their own back and side walls, this veranda design gives you the perfect place to curl up with a book after a hard day’s work. The beauty of a Serenity veranda is that it allows you to enjoy your garden even when the weather isn’t ideal. The strong aluminium construction is exceptionally weather-resistant, and if you’ve got an outdoor heater, you’ll be able to go out to the veranda and enjoy the view of your garden no matter what time of year it is! You can also select your roofing material - choosing from either a Polycarbonate or glass roof. Interested? Contact us now for a free, no-obligation quote for your Serenity veranda! 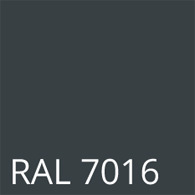 The detached verandas come in three attractive colours (Anthracite Grey, Grey Aluminium and Traffic White), and we can provide a variety of sizes to suit your needs. Comes with clear assembly instructions and an instructional DVD or let us install it for you! The roofs are calculated for load of 90 kg/m². 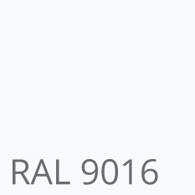 This equates to approx. 50cm of snow. 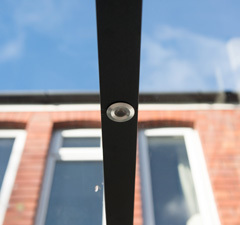 Choose from a selection of polycarbonate roofing options, or select laminated 8mm safety glass. The choice is yours, consider your roofing requirements below. Whilst the Serenity Garden Room comes with a standard gutter cover as shown below, we also offer a range of alternative gutter covers for your consideration. See below. Entertain late into the evening with the addition of these fabulous LED lights. 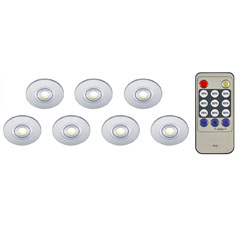 The kit consists of 6 LED lights, plus transformer and a remote control unit. 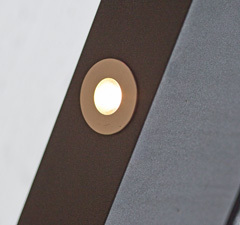 The lighting system is manufactured to a high standard, and will help illuminate your evenings. Our range of heaters will provide you with warmth when you most need it! We offer a range of heaters with differing wattages, so you are sure to find a suitable heating solution. Click here to view our full range of veranda heaters. 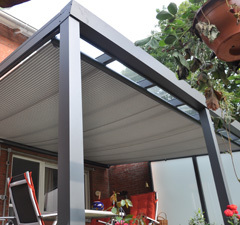 Add UV protection and shade to your SunSpace. 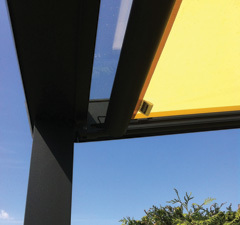 We recommend two bespoke shade systems. Both of which assist in the prevention of glare from the sun , as well as reducing the internal heat within your structure. These internal fabric blinds are a welcome addition in the summer months. Allowing you to enjoy your SunSpace without the glare of the sun, these manual sunblinds are available in a wide range of fabrics and in 3 colours – all with built-in UV resistance (See RightSee Above). Made from UV resistant fabric this electric sun blind provides the user with ease of use when opening or closing. 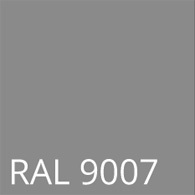 The blinds are available in a selection of fabric colours (See Images Below). This sound and heating system with integrated bluetooth speakers is sure to help set the atmosphere! The Heat and Beat system features a dimmable low-glare lamp is dimmable and is operated via an app, or via remote control. "I wanted to extend my outdoor area so my little ones could play undercover and be protected from spring showers and the hot summer sun. The veranda I purchased from SunSpaces fits the bill! The service I received was fantastic and it was so easy to put up - I just followed the video and it was up ... "